There are 4 Memory Care Facilities in the Charleston area, with 2 in Charleston and 2 nearby. The average cost of memory care in Charleston is $3,145 per month. This is lower than the national median of $4,650. Nearly one in 10 of Charleston's 21,000 residents are aged 65 and over, and according to the Alzheimer's Association, as many as 10 percent of these seniors have Alzheimer's. In Coles County, where Charleston is located, over 11 percent of seniors receiving Medicare have been diagnosed with Alzheimer's or dementia and may need memory care services. There are two memory care facilities in Charleston and an additional two in nearby Mattoon. In Illinois, memory care may be provided in supportive living facilities, which solely provide care for those with dementia. Alternately, services may be provided in assisted living facilities that are licensed to provide dementia care, as is the case with the memory care facilities in the Charleston region. Charleston seniors do not pay state income tax on any type of retirement income. This may enable them to afford the region's living expenses and put more money toward memory care services. Healthcare expenses in Charleston are a little higher than the national average, which may increase the cost of managing a chronic condition like dementia. However, the city's overall cost of living is relatively low compared to the national average, which may offset the slightly higher healthcare expenses and appeal to families and seniors with tight memory care budgets. Summers in Charleston are long, hot and humid with seasonal highs in the mid-80s. Winters are very cold and windy with January lows near 20 degrees. As they're touring local memory care facilities, families may want to query staff members about what precautions are taken to keep residents safe and comfortable on very warm or very cold days. Charleston is a very safe city with a crime index of 70 out of 100, indicating that the city is safer than 70 percent of U.S. cities of all sizes. Even when it's compared to similarly sized cities, Charleston's crime rate is still quite a bit lower than average, which may provide peace of mind for families whose loved ones live in local memory care facilities. Memory Care costs in Charleston start around $3,145 per month on average, while the nationwide average cost of memory care is $4,778 per month. To see a list of free memory care resources in Charleston, please visit our Assisted Living in Illinois page. 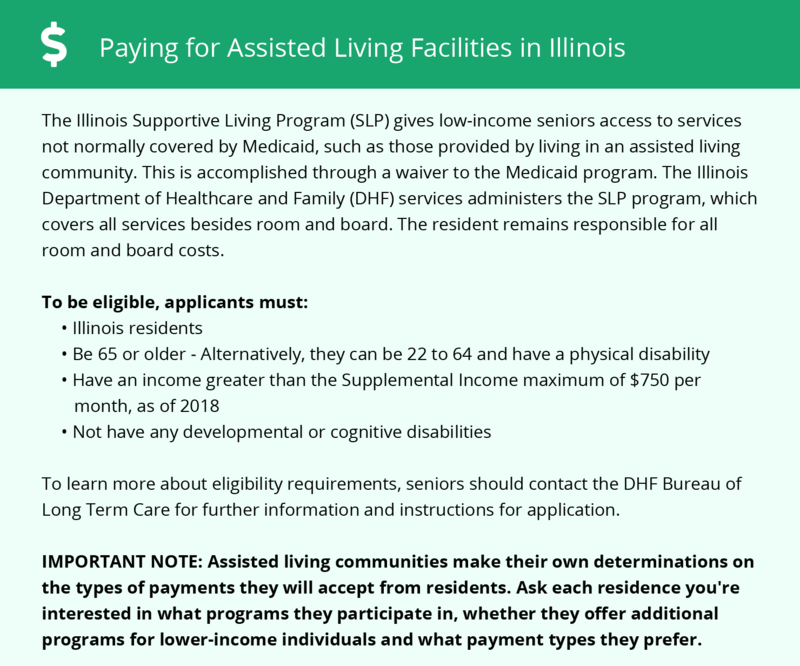 Charleston-area assisted living communities must adhere to the comprehensive set of state laws and regulations that all assisted living communities in Illinois are required to follow. Visit our Memory Care in Illinois page for more information about these laws.